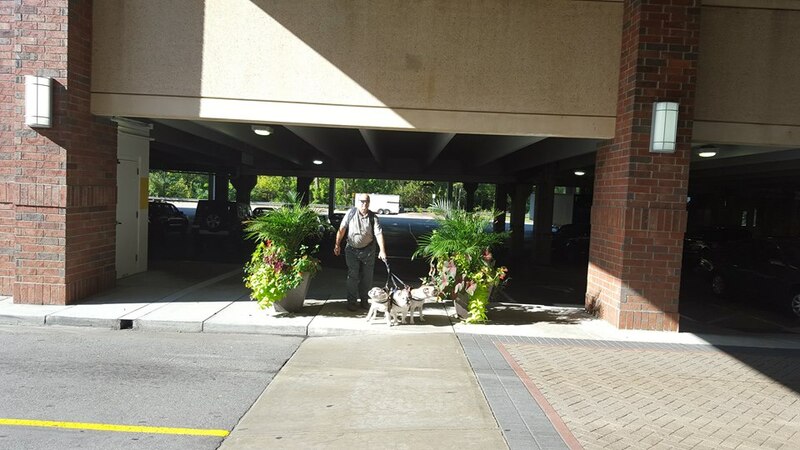 All my spare time goes to Bulldogs, whether it is spending time with Sugar, for the rescue, writing Bulldog blogs, organizing Bulldog Beach Walks or reading the stories of fellow Bulldog owners … somehow everything I do involves Bulldogs. I think these two Bulldog Blogs describe my Love for the Bulldog the Best: What makes the Bulldog so Special? and The Bulldog Addiction Checklist. Together with my Friends and fellow Bulldog Addicts we are Baggy Bulldogs. The Love for the Bulldog Breed. The Baggy Bulldog team consists of Volunteers for the Bulldog Rescue and Admins who help out by answering questions and selecting and posting the cutest and funniest photos our members share with us onto our FB page. I am 35 years old and I grew up around dogs (dalmatians). From about ten years old I started walking dogs around the neighborhood, my love for animals was always there. So far I have adopted cats, rats, hamsters .. about every animal that needed help. My mom prohibited me from having a farm of animals. About 12 years ago a Bulldog entered my life, the dog lived in the apartment above where I worked and came to greet me every single day. From that moment I fell in love with the Bulldog breed and that love never stopped growing over the years. In may 2013 I finally got my first Bulldog named Lewis. He was the love of my life on four legs. Unfortunately Lewis had a rare spinal condition and only lived till 1 year and nine months old. I joined Baggy Bulldogs when I had Lewis and loved sharing stories of my Bulldog and reading the stories of others. Not long after I was asked to join the Baggy Family and started helping out with the Baggy Bulldog Rescue and as an admin online. 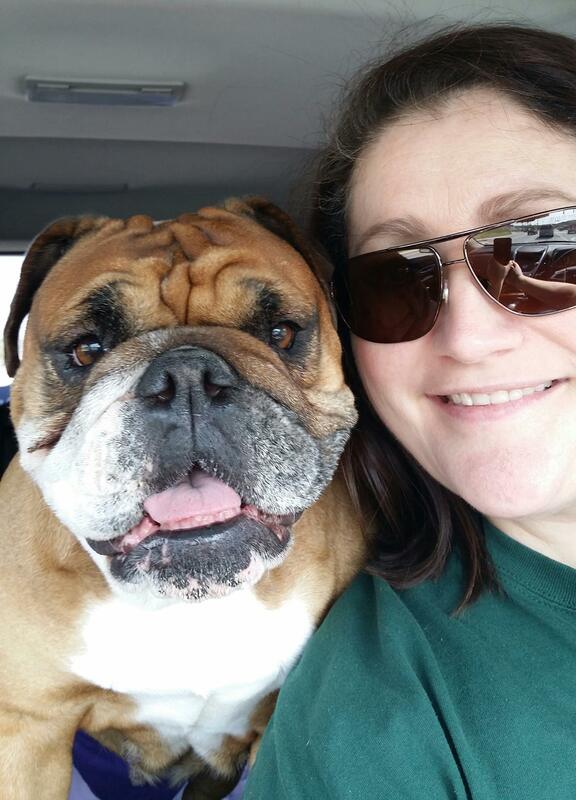 My work for the Rescue consists of helping with training and re-homing, being a foster parent, helping with the Bulldog Beach Walk and helping online by answering questions and sharing the Bulldog love with our community. My first foster Bulldog become my 2nd Bulldog Love, a Bulldog named Mikey who is now eight years old. It was supposed to be a temporary thing but both me and my boyfriend Dave fell in love with Mikey so we went from foster parents to parents, he never left our Home. Andrea grew up in Italy and found her way to the United States in the 4th grade and currently resides in Maryland, USA. She has always been an avid animal lover but it wasn’t until she and her husband got their 1st Bulldog over eight years ago that they understood the special and unique nature of this loving, loyal breed. 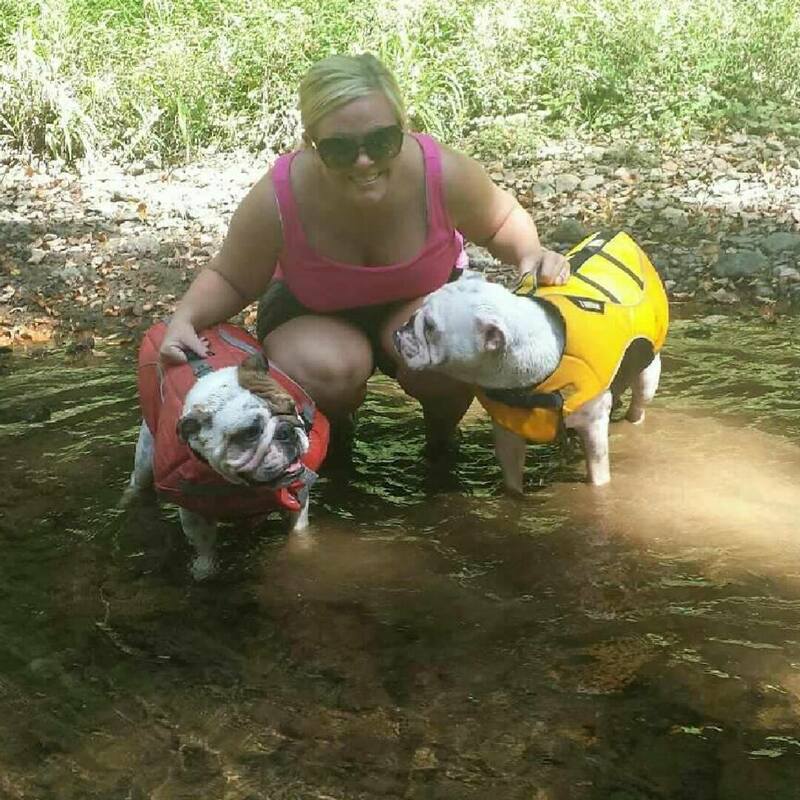 They currently own four Bulldogs.Their ultimate goal is to gravitate towards a Baggy Bulldog Rescue in the States. 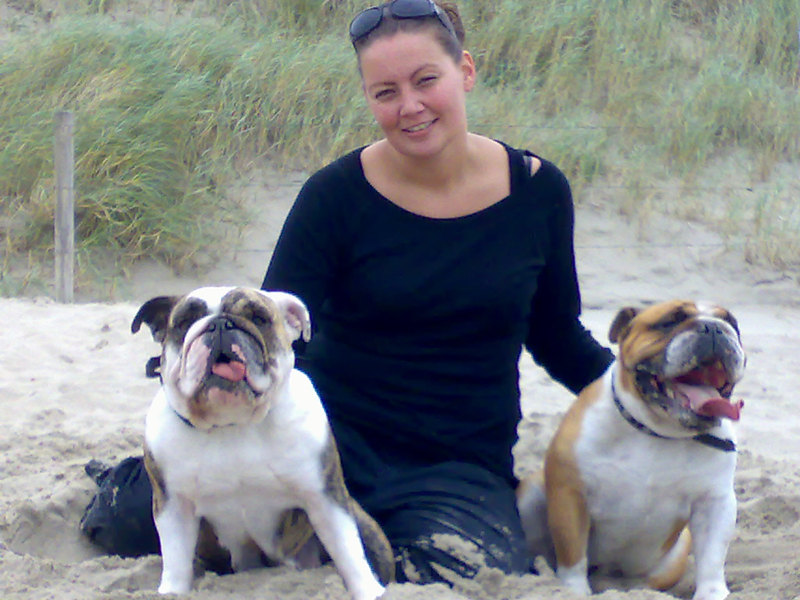 Andrea found Baggy Bulldogs as her love for the breed deepened and she wanted to connect with other Avid Bulldog Lovers. Joining the admin team was a natural progression as the group has continued to grow in size and remain the largest, most informative and loving group of avid Bulldog lovers. I am Dari I live in the U.K. with my partner and my Bulldog Maisy Moo. I have always had dogs since I was a child, my father bred german shepherds. My partner was desperate for a Bulldog and eventually convinced me they were the ideal breed for me recovering from illness. Well! Whoever wrote the book on English Bulldogs obviously never met our little hooligan! 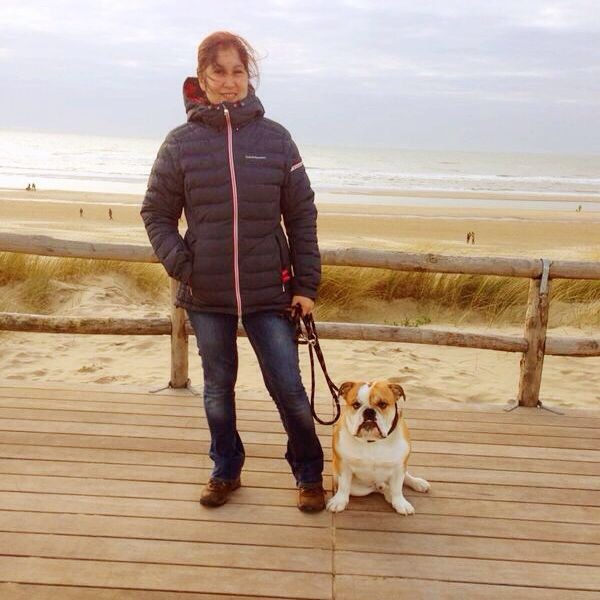 I joined the Baggy Bulldog group as even though I’ve always had dogs I was seeking specific information on the breed. After finding out bully owners are just as barmy as me one thing led to another and I became part of the Baggy Bulldog Family. 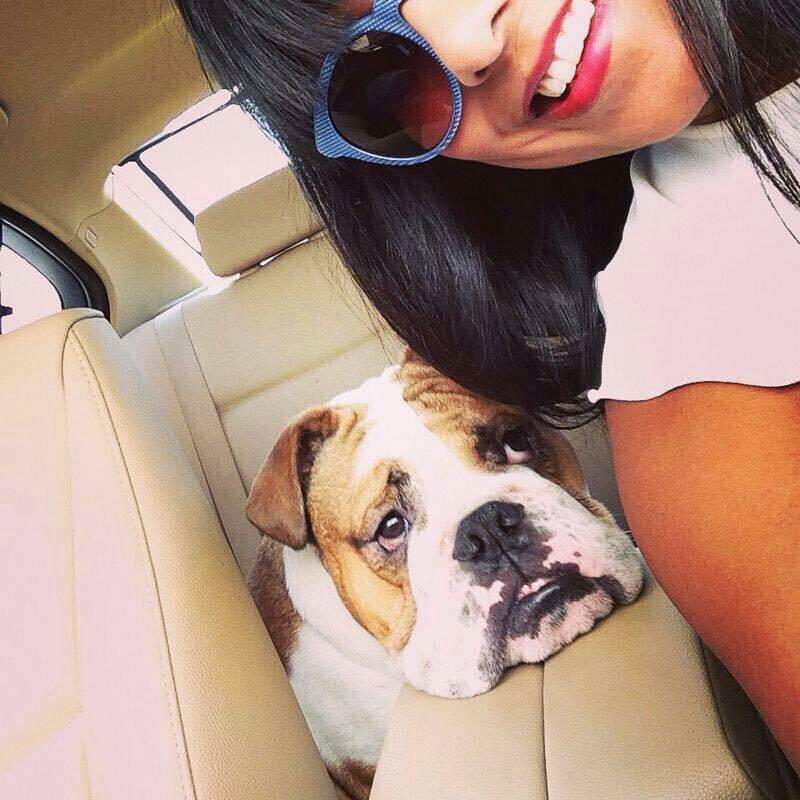 Kavitha and Monty …. In love with Bulldogs since Sep 2012 when my first bulldog walked into my life and changed it forever. Monty is the sunshine in my life and makes me smile every single day I love the Baggy Bulldogs group, from day one it has taught me so much about the breed, don’t know where I would be without it ! My name is Andrea from Baltimore, Maryland, USA. These are my second set of bulldogs Amos and Stella. Brother and Sister. We love to swim, play and snuggle! They are both my whole world! Ultimately I hope to start a Baggy Bulldog Rescue in Maryland with the Lay’s. Andrea Lay introduced me to Baggy Bulldogs some time ago and I fell completely in love. So many great members that all adore bulldogs. So happy to be a part of such a fantastic team of admin and even more so a fantastic group of bulldog lovers! As a kid we always had pets in our family growing up. In the last three years me and my wife decided that since our two skin kids were about to move out that we would get a English bulldog. So Christmas 2013 we got our first bulldog. After being with Bella for two months we decided to get our second bulldog Dozer. Lots of fun raising two puppies at once. Then Christmas 2014 we got our third puppy Koda and could not be happier with the three of them. We also have two potbellied pigs, Buster and Annie that we’ve raised from piglets and our little over 16 years old now which is passed their life expectancy and seem very healthy. I am very much into learning about canine nutrition right now and have been very lucky to have my three English Bulldogs not go through any allergies of any kind to date. Found Baggy Bulldogs little over a year and a half ago and I love coming in spending time on this page. Feel very lucky to have the opportunity to help out with the page now and help and learn from all the members here.